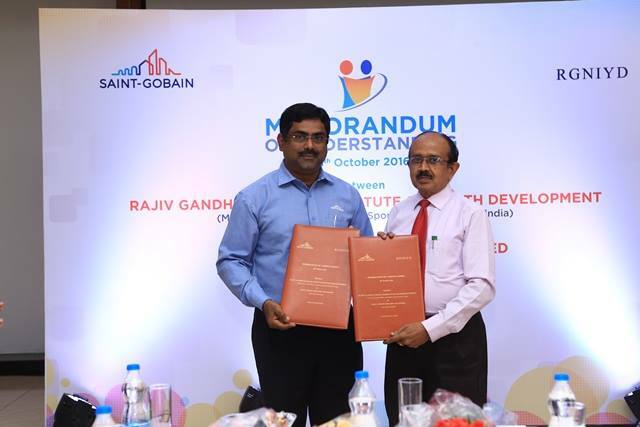 RGNIYD, Sriperumbudur signed an MoU with Saint-Gobain India Private Limited (SGIPL) Flat Glass Business, on 18th October 2016. 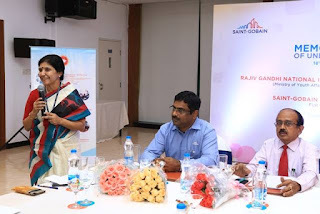 The MoU was signed by Dr T.R.A Devakumar, Registrar of RGNIYD and Mr Padmakumar, Team Leader and Head of Human Resources, SGIPL, in the presence of Dr Latha Pillai, the Director of RGNIYD and the staff of SGIPL. The MoU seeks to forge a dynamic partnership between the Institute and the businesses in SGIPL’s manufacturing eco system, and thereby createinnovative models of academia – industry collaboration. 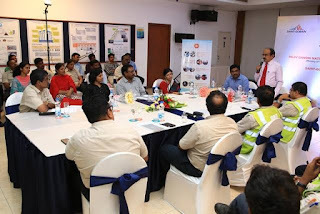 The main areas identified for collaboration are 1) Strengthening capacities of local communities 2) Collaboration on action research projects 3) Development of industry driven value oriented courses for employees of SGIPL eco system that nurture diversity 4) Development of CSR field work engagements for students of RGNIYD. Community development is a contested process that needs an efficient integration of innovation and social sensitivity. Each of the partners comes to the table bringing unique sets of expertise that facilitate such an integration and it is aspired that both the institutions also evolve further, productively, as a result of the partnership. 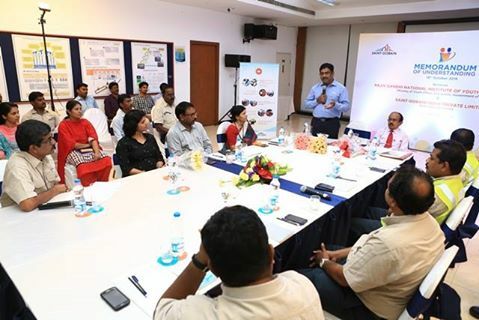 SGIPL is world renowned for its cutting edge business models and technology utilisation. It also has a strong track record of social initiatives that are spread across the thematic areas of Health and Hygiene, Skill Development, Renewable Energy and Disaster Relief. 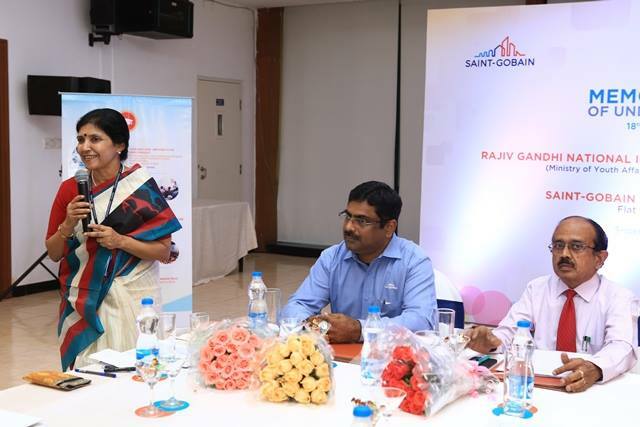 With the assistance of RGNIYD, SGIPL aims to deepen its social interventions. Meanwhile, RGNIYD, with its repository of courses, training programmes, students representing different states, and faculty from multiple disciplines, has a unique expertise in understanding and developing the youth potential of the nation, holistically. 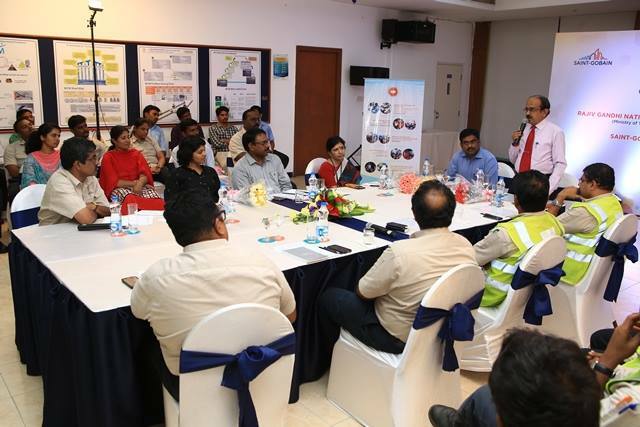 The perspectives that the Institute can impart on building the capacity of labour force of SGIPL is invaluable. The Institute, on the other hand plans to utilize the opportunity to facilitate field engagements of students on CSR themes, research projects and integrate it all creatively in its vibrant path of adapting it’s interventions, and courses to the pressing needs of the youth community.